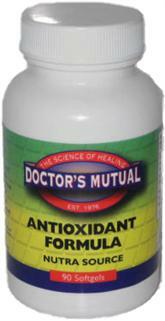 Antioxidants protect the body from damage caused by harmful molecules called free radicals. Many experts believe this damage is a factor in the development of blood vessel disease (atherosclerosis), cancer, and other conditions. You are exposed to free radicals: Through by-products of normal processes that take place in your body (such as the burning of sugars for energy and the release of digestive enzymes to break down food). When the body breaks down certain medicines. Through pollutants. Antioxidants include some vitamins (such as vitamins C and E), some minerals (such as selenium), and flavonoids, which are found in plants. The best sources of antioxidants are fruits and vegetables. You can find flavonoids in fruits, red wine, and teas. You can also buy antioxidant supplements. It is best to obtain antioxidants from a healthy diet. What are antioxidants used for? People use antioxidants to help treat or prevent some medical conditions, such as coronary artery disease (CAD), some cancers, macular degeneration, Alzheimer's disease, and some arthritis-related conditions. The treatment of CAD with antioxidant supplements as well as with traditional medicine continues to be researched. Some experts believe antioxidant vitamins may help in treating CAD, although so far studies have not proven this. Are antioxidants safe? Taking supplements in high doses can be harmful. No single antioxidant alone can protect the body. Most people should eat 5 to 9 servings of fruits and vegetables each day. The U.S. Food and Drug Administration (FDA) does not regulate dietary supplements in the same way it regulates medicines. Always tell your doctor if you are using a dietary supplement or if you are thinking about combining a dietary supplement with your conventional medical treatment. It may not be safe to forgo your conventional medical treatment and rely only on a dietary supplement. This is especially important for women who are pregnant or breast-feeding.